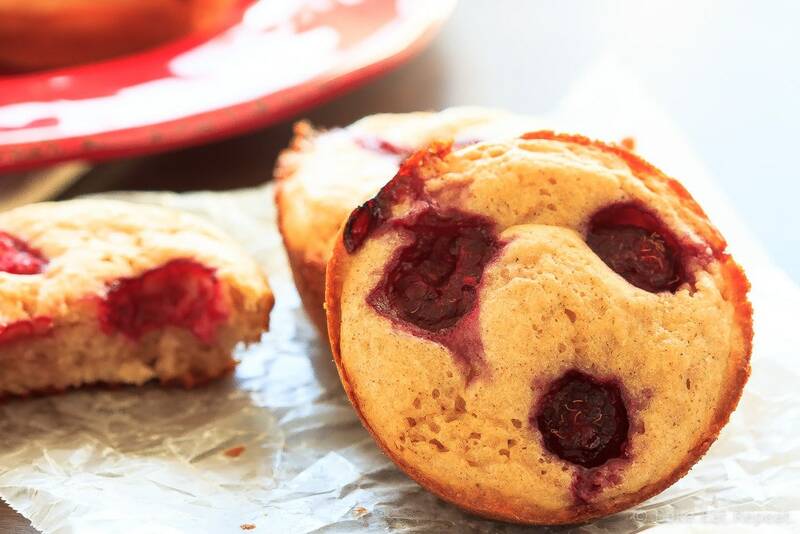 Pancakes in muffin form. Because pancake muffins are cute and fun and who doesn’t need more ways to make and enjoy pancakes? Or at least I enjoy having many ways to make and enjoy pancakes. Surely I’m not alone on this? My kids loved these. I’m not really sure that pancake muffins are actually a thing though. Maybe no one else is remotely interested in making their pancakes in a muffin tin. But everybody should be. Seriously, these things are tasty! And so versatile. As all good pancakes should be. Add some fruit on top (we used raspberries this time), enjoy them hot or cold, plain or with jam or maple syrup, for breakfast or packed in a lunch box for a snack or a special lunch – so many options. My kids always get so excited when I send them pancakes for lunch. 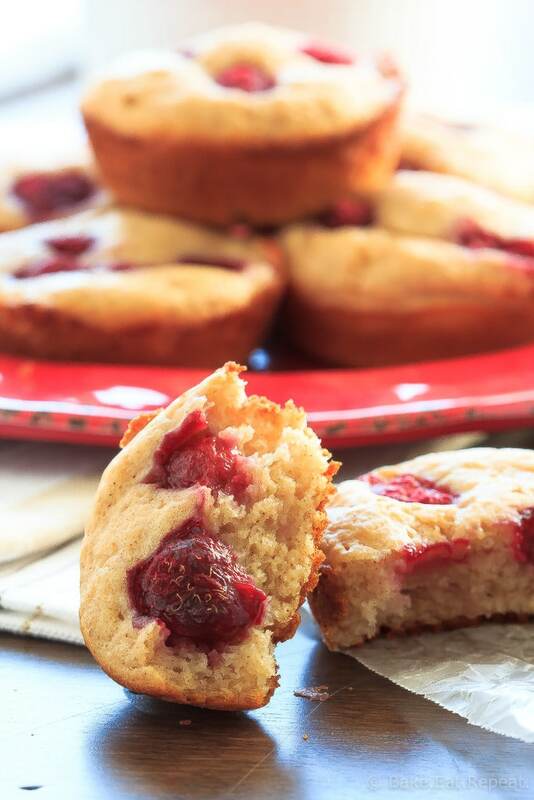 I always just put jam on them to avoid a syrupy mess coming home in their lunch kits for me to clean up – but these pancake muffins make “pancakes for lunch” even easier. If you add a bunch of berries you basically have the jam built in. I liked them with more jam on top or dipped in maple syrup, but the kids ate them plain straight out of the fridge. That makes for a pretty simple breakfast or lunch when they enjoy them that way! These “pancakes” even have the maple syrup baked right in as you drizzle it on top before throwing them in the oven. I only drizzled about 1/4 teaspoon on top of each one, and we found them sweet enough, but they’re not overly sweet so you could definitely increase the syrup on top if you’d like them a bit sweeter without needing to serve syrup on the side. Cute, fun and easy to make – I think these pancake muffins will be making a regular appearance around here! I’ve also shared this Pancake Muffins Recipe over on Food Fanatic. Pancake muffins are my favorite! I make them every so often for a quick breakfast or snack on-the-go. 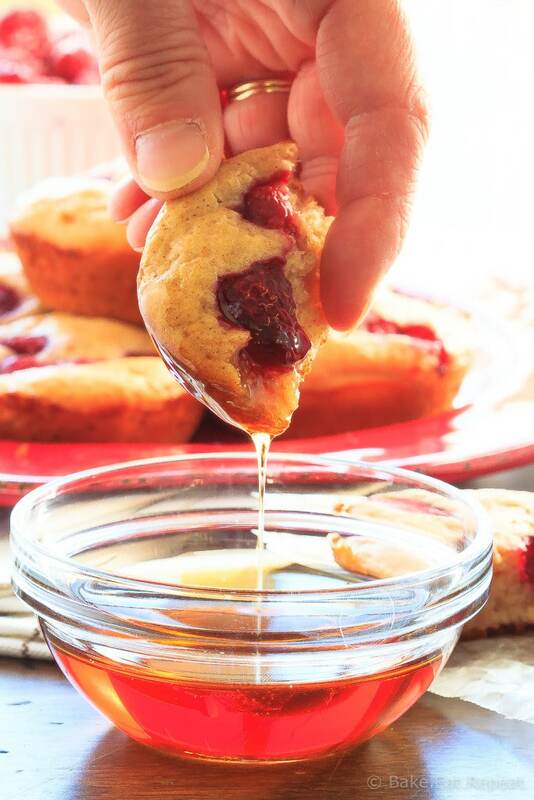 I love that you baked the maple syrup right in, sounds SO flavorful and delicious!